It looks like wave structure is becoming more and more complicated. 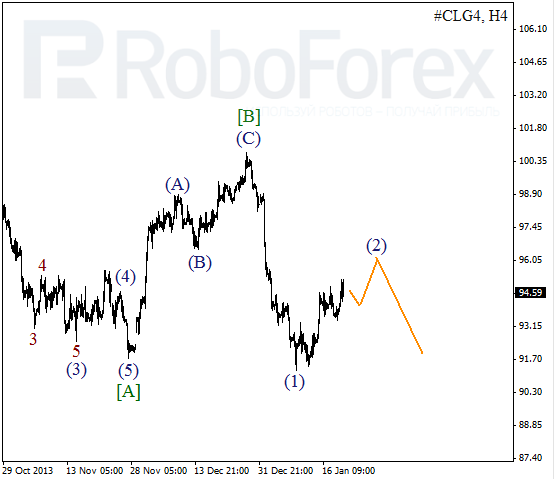 Possibly, Index formed several initial bullish waves and right now market is being corrected inside wave (2), which is taking the form of flat pattern. In the near term, instrument is expected to start growing up inside the third wave. As we can see at the H1 chart, Index completed descending impulse inside wave C. Possibly, right now market is forming initial waves inside wave (3). Critical level is at minimum of initial wave (1). Correction is taking more time than we expected. 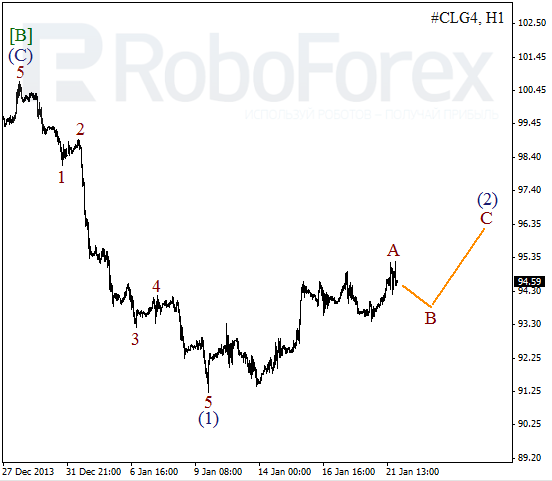 Most likely, during the next several days Oil will continue forming wave (2). 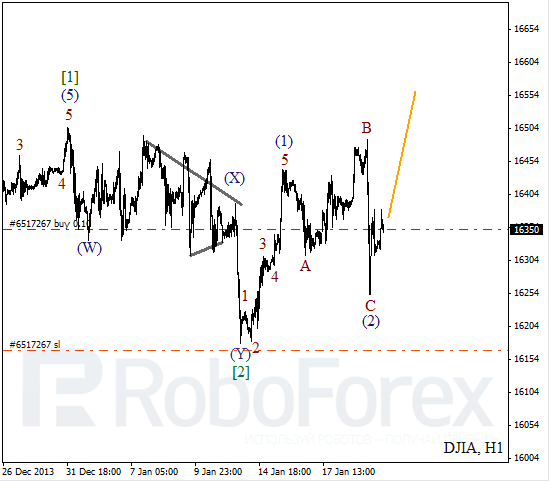 Forecast is still bearish and implies that instrument may start new descending movement inside the third wave. More detailed wave structure is shown on H1 chart. 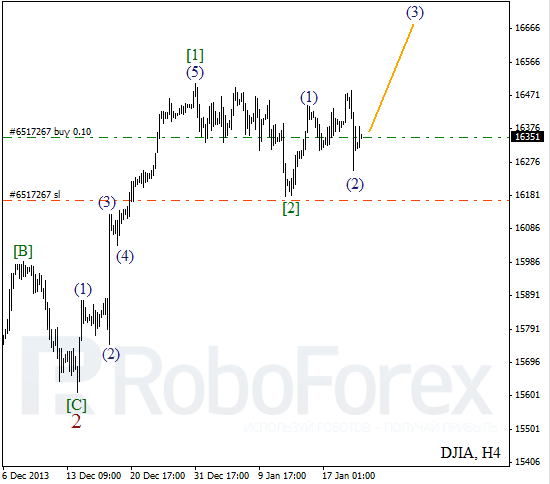 After completing descending impulse inside wave 1, Oil formed five-wave structure inside wave A. In the near term, instrument is expected to start short-term correction inside wave B.